A friend of mine called me a few minutes ago. His mom was diagnosed with alzheimer’s disease a good while back. She was moved into the Alzheimers unit today. I have no idea what that must feel like. Wow, that is pretty tough stuff. I know him well and I had the honor of meeting his mother. I never knew her before she was diagnosed though. Pretty tough day for my friend. There is no cure for this disease. Yes, it’s mostly an old peoples disease. Sometimes it feels like nothing is happening to slow it or stop it. Not much money is being spent to find a cure, but the research community of the world has a great reputation, of caring about what they do. It seems to be one of those fields that you go into, because it is your passion. Not many people know this, but Dr. Jonas Saulk worked the last few years of his life, looking for a cure for aids. He found the vaccine that stopped polio. One day, we will have the money and research scientists will find something that will lead to a slow down or a cure. I have read the “National Alzheimers Project Act”. I try hard to understand these things. I get as much clarification from knowledgeable people as I can. The only holdback with it could be the lack of money. To me, that will make the the plan go slow. Alzheimers scientists are really beginning to realize the importance of meeting with other scientist that are studying other diseases. They can get together and share information and possibly have an “aha” moment. Some grants are even being given to bring scientist studying other diseases into the Alzheimer’s community, for new perspectives. Glad she finally died ?? I had a gentleman, on my trip, tell me his wife had disappeared into the alzheimers world about 8 years ago. Then he said he was glad her body had finally died. He said he did not mean to be cruel, but that it was killing him and he hurt and cried every day watching her. Finances had been devastated. His health had suffered drastically. He stated he did not care what anyone thought of him, for feeling this way. When I watch my friend, Susan Riblet explore every facet of the foster care system so she can do her best, it has made me realize I can do a lot more. I will do a lot more. I will learn as much as possible about alzheimers disease. I have to do my best. It is what I am supposed to be doing. I met Ron Grant in Oklahoma City, Oklahoma last year on the trip across America. He has early onset alzheimers disease. I did not spend much time with Ron while I was there and I don’t know why. My fault. About a week ago Ron entered my mind and I haven’t been able to get him off of it. I googled his name and found several YouTube clips and articles about him. He is trying so hard to help in this fight. I just got off the phone with Ron and he sounds great and was so complimentary to me for what I am trying to do. He is such an awesome young man. He has been to many functions, including traveling to Washington DC, with the Alzheimers Association. Nothing can ever come between people who have a common and very important purpose in life, nothing. Alzheimers disease is getting so huge. It is going to take a lot of work, but we can do that. I never have been a caregiver. I Met a lot of them on my trip across the United States. They all seemed so very tired and worn down. Most of them told me that they hardly ever took any time off from watching their loved one, that has this horrible disease. 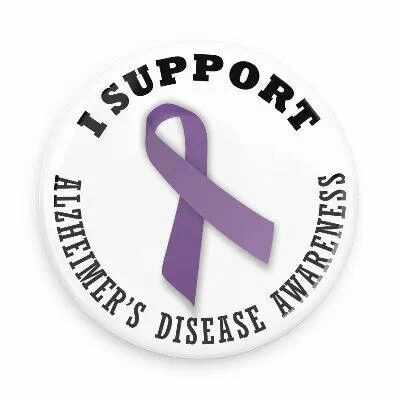 I found out that the Alzheimers Association can help people with this situation. To be your best, you have to get some rest. I found out as a runner that I have to do the same thing. In my opinion a caregiver should never feel guilty about wanting and needing time off. They do it so they can be the best they can be. If you need help concerning this horrible disease please call 1 800 272 3900 anytime.